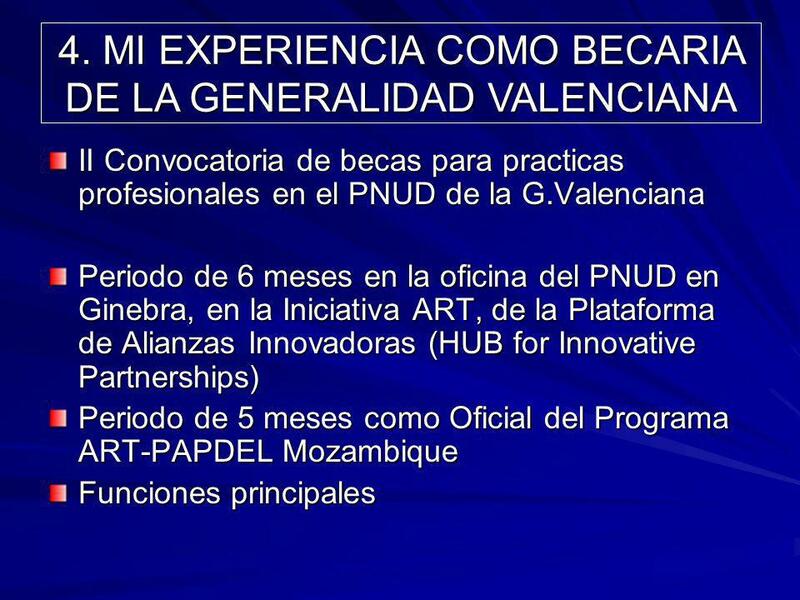 “ PNUD PARA PRINCIPIANTES” Mar Mora Munera I Promoción del Master “Desarrollo, Instituciones e Integración Económica” Becaria de la Generalidad. 10 2.2. 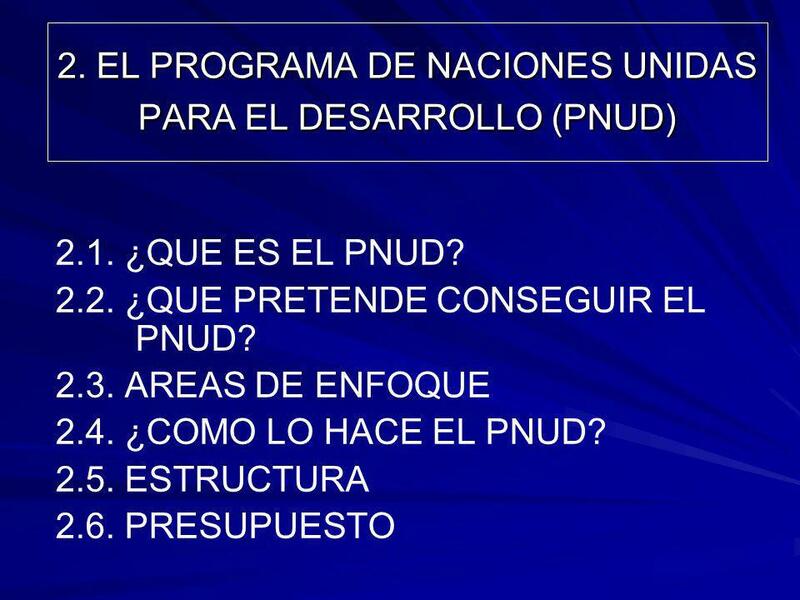 QUE PRETENDE CONSEGUIR EL PNUD? 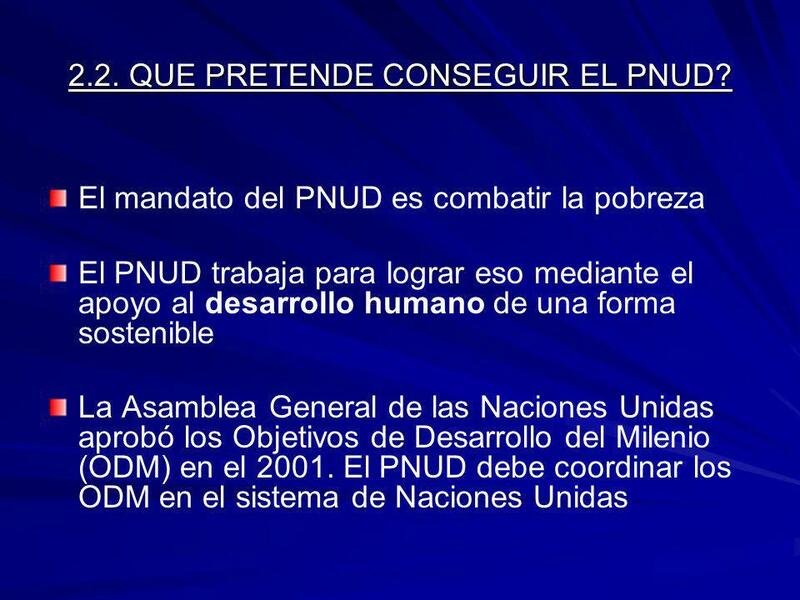 El mandato del PNUD es combatir la pobreza El PNUD trabaja para lograr eso mediante el apoyo al desarrollo humano de una forma sostenible La Asamblea General de las Naciones Unidas aprobó los Objetivos de Desarrollo del Milenio (ODM) en el El PNUD debe coordinar los ODM en el sistema de Naciones Unidas UNDP’s mandate is to fight poverty. As the development organization of the United Nations, UNDP works to achieve this through supporting human development in a sustainable way. Recently, the overarching goal of reducing poverty has been more concretely defined through the Millennium Development Goals. UNDP's network links and coordinates global and national efforts to reach these goals and helps developing countries attract and use aid effectively. 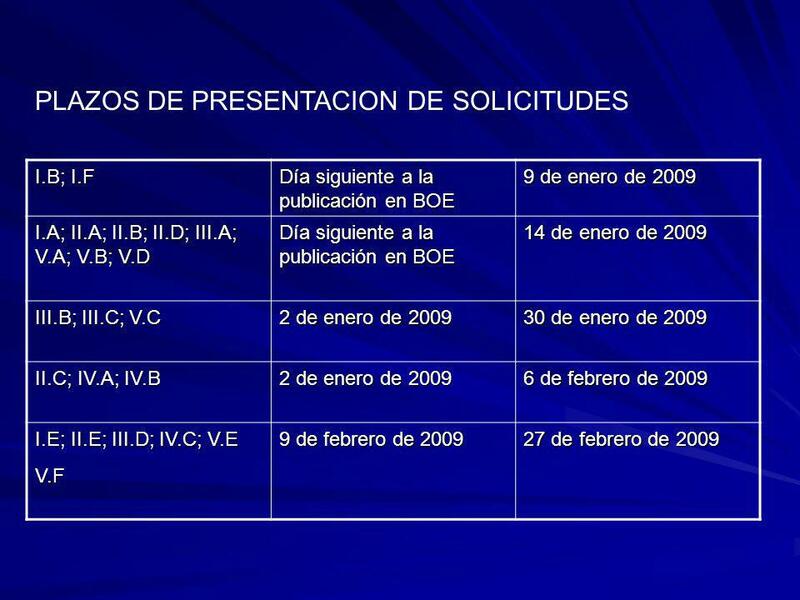 Gobernabilidad democrática Reducción de la pobreza Prevención y recuperación de las crisis Energía y medio ambiente SIDA/VIH 30 subareas – “Líneas de Servicio” Enfoques transversales: Género, refuerzo de capacidades, TIC Previously, few people were able to describe what UNDP stands for. 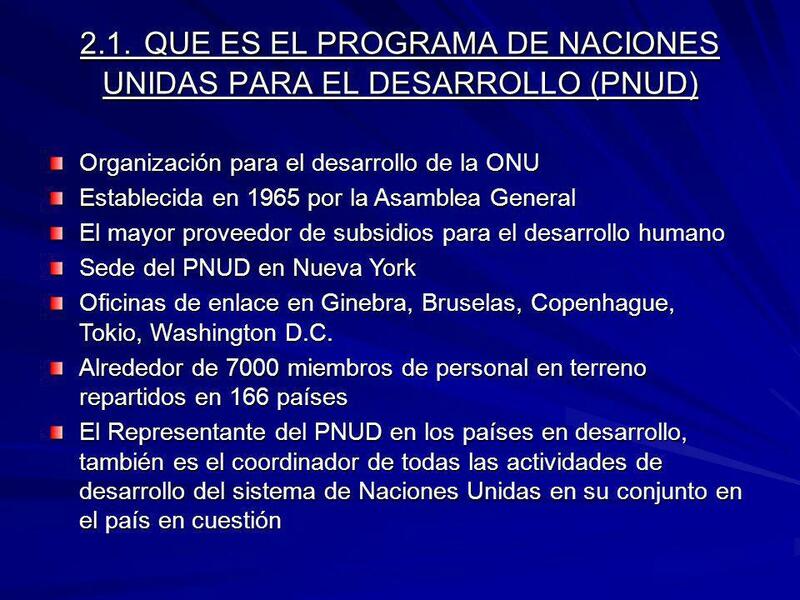 This is not surprising, since UNDP covered all areas of technical assistance related to development. With mounting pressure from donors and development effectiveness increasingly questioned, UNDP realized in the late 1990s that it needed to focus on a few, but well-defined areas. The focus needs to be on areas where UNDP has experience and a comparative advantage, and on areas which the programme countries identify as important. 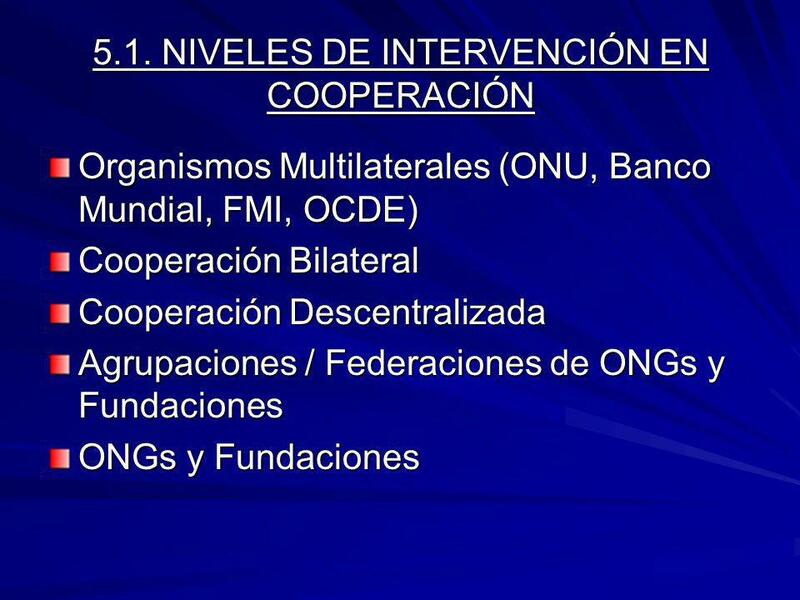 Therefore, UNDP narrowed its focus to five core areas of operation. 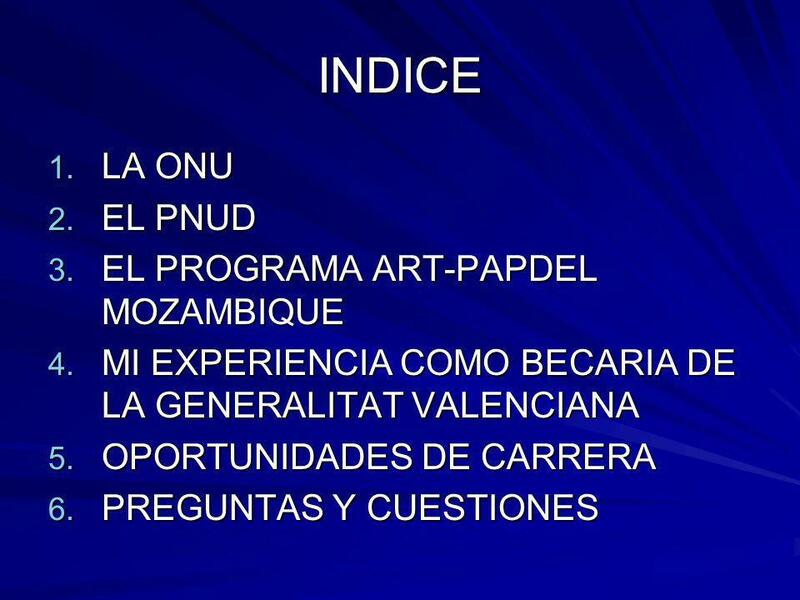 These focus areas (also called “practice areas” or “practices”) Þ are based on UNDP’s strengths and experience, and on an analysis of what UNDP’s clients want from the organization. 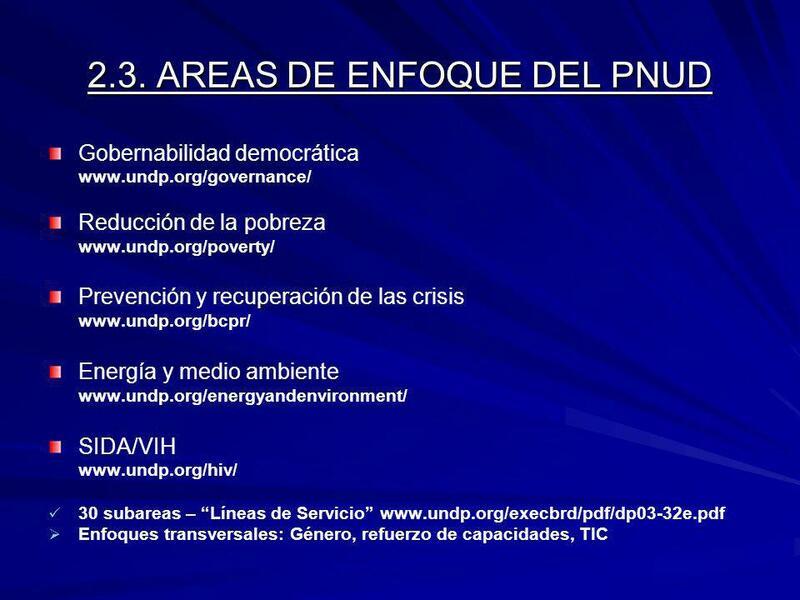 UNDP’s five focus areas of operation are defined in UNDP’s current global business plan: democratic governance, poverty reduction, crisis prevention and recovery, energy and environment and HIV/AIDS. UNDP for Beginners: A Beginner’s Guide to the United Nations Development Programme 6 1. Successful human development needs to build on state institutions and processes that are more responsive to the needs of ordinary citizens, including the poor. Political participation and accountability is paramount for development. 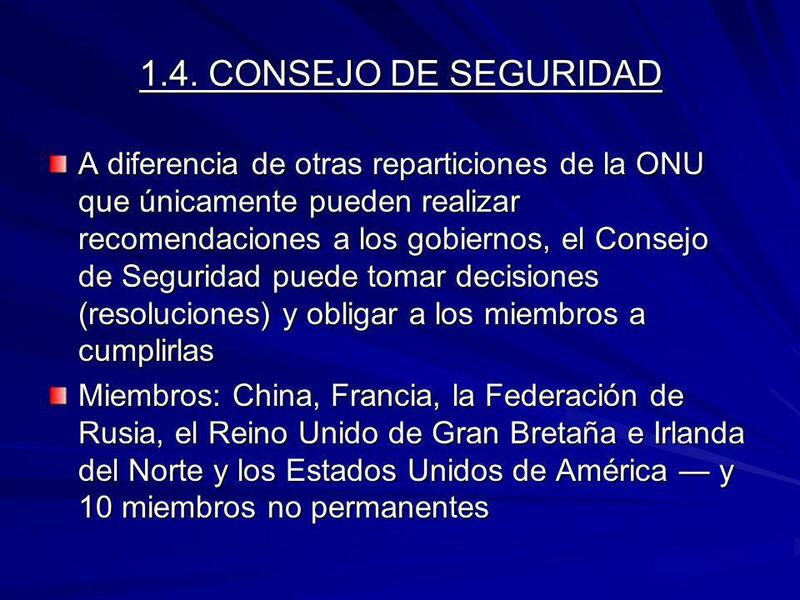 This approach is called democratic governance (also called “good governance” or just “governance”). 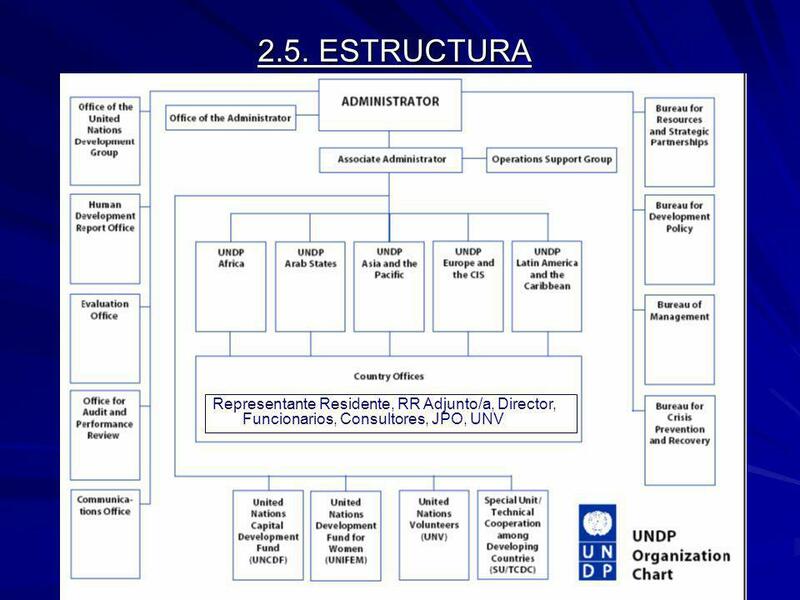 UNDP’s practice area of democratic governance serves as the foundation for much of the rest of UNDP’s work. Þ 2. The practice of poverty reduction stresses the importance of policies for the poor. UNDP helps to connect national policies to the Millennium Development Goals, since poverty strategies work best when they are based on local needs and priorities. Þ 3. Many countries are increasingly vulnerable to violent conflicts or natural disasters. Conflicts and disasters can erase decades of development and further entrench poverty and inequality. Therefore, UNDP supports crisis prevention and recovery through the recently created Bureau for Crisis Prevention and Recovery. While the ideal is to prevent a crisis, UNDP also supports countries in postconflict situations like Afghanistan or Iraq. Þ 4. The poor are disproportionately affected by environmental degradation and lack of access to clean affordable energy services. Therefore, energy and environment are essential for sustainable development and the eradication of poverty Þ Relatively few core resources are spent on this practice area, since activities can be funded through additional resources such as the Global Environmental Facility (GEF). GEF is an independent financial organization that provides grants to developing countries for projects that benefit the global environment and promote sustainable livelihoods in local communities. Þgefweb.org 5. HIV/AIDS is threatening to halt and reverse progress in development. To prevent the spread of HIV/AIDS and reduce its impact, developing countries need to mobilize all levels of government and civil society. Combating HIV/AIDS remains a major concern in Africa and Asia. Þ The United Nations also has a dedicated programme to focus exclusively on HIV/AIDS, called UNAIDS Þunaids.org. 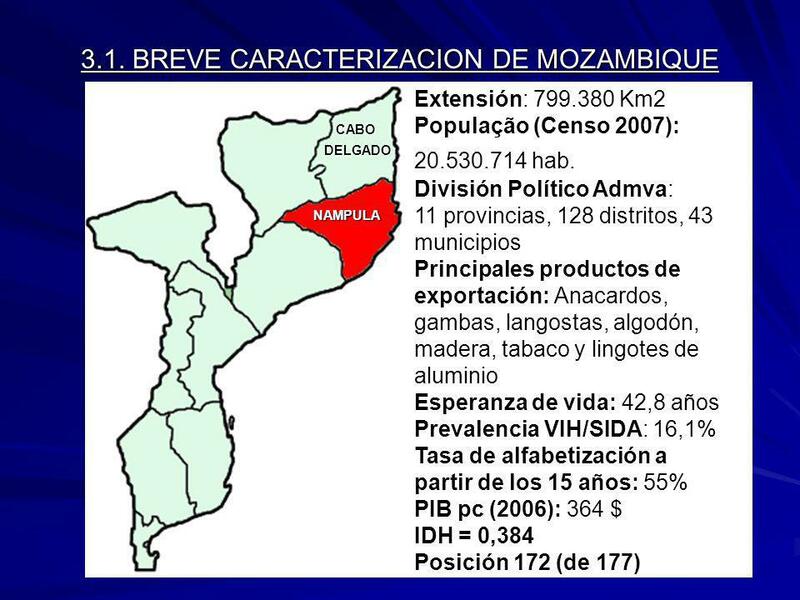 In 2006, UNDP has modified the core results in this focus area to better reflect the division of labour with UNAIDS. 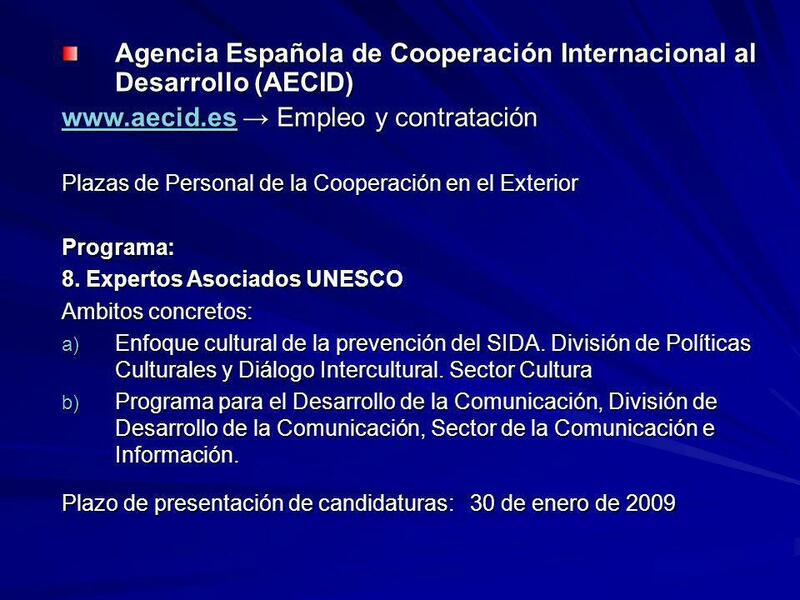 The protection of human rights Þ and the promotion of women’s empowerment Þ are not a separate practice area, but are integrated into most programmes. Information and Communication Technology (ICT) Þsdnhq.undp.org/it4dev/ is treated similarly as an important tool to be incorporated into programmes. 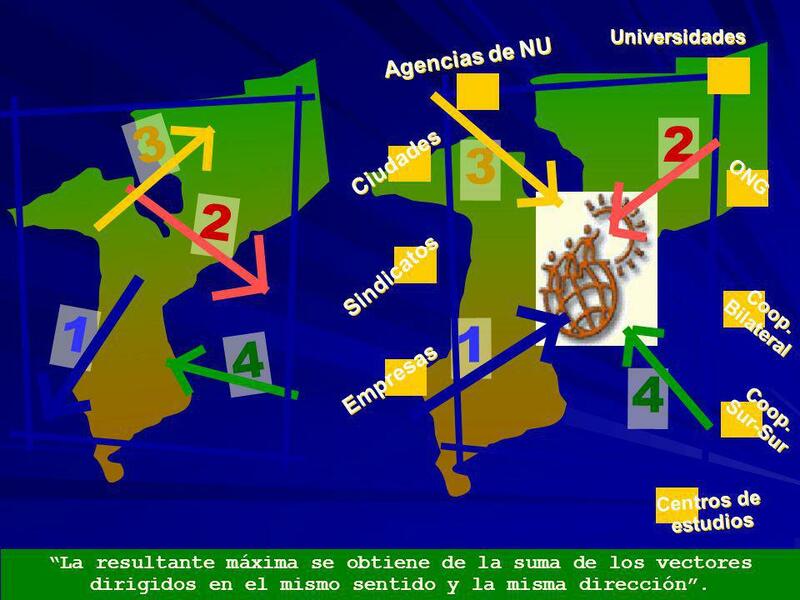 Furthermore, the development of capacity is the most promising approach to support sustainable human development. 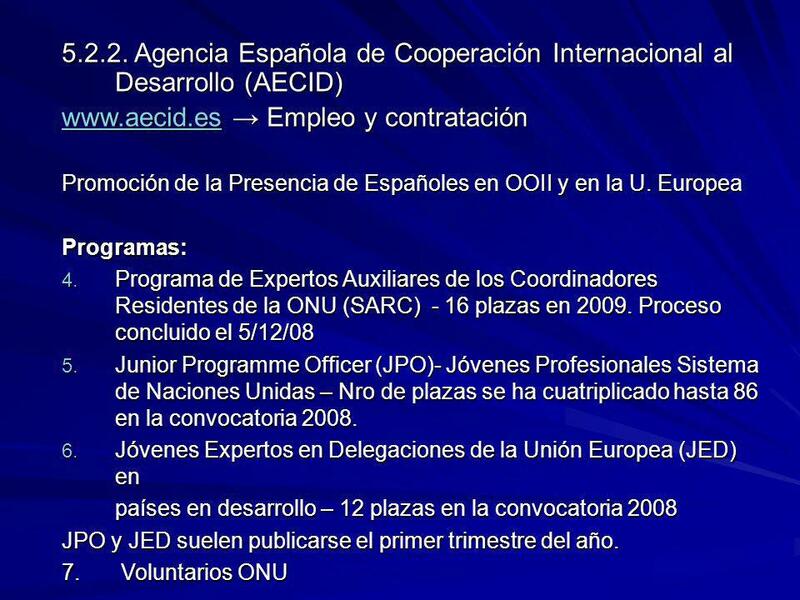 Þ The integration of all these aspects into development programmes is called “mainstreaming”. 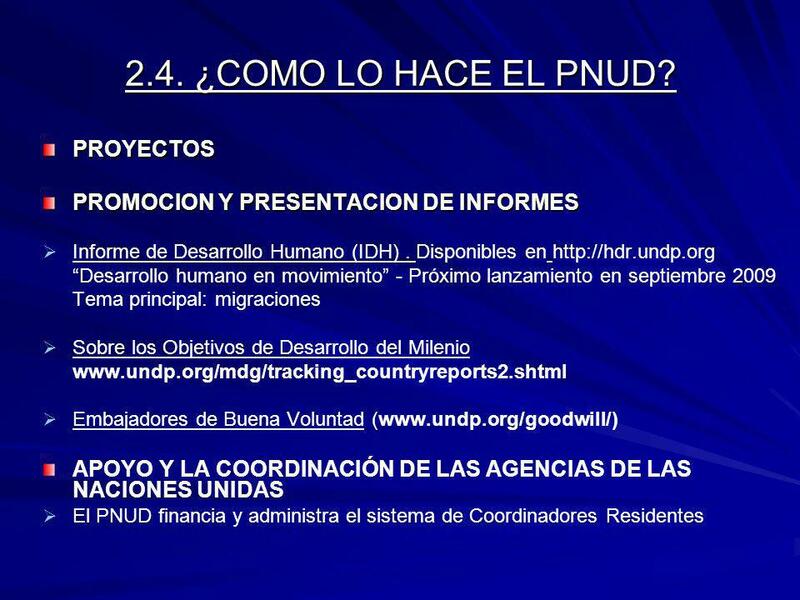 PROMOCION Y PRESENTACION DE INFORMES Informe de Desarrollo Humano (IDH) . 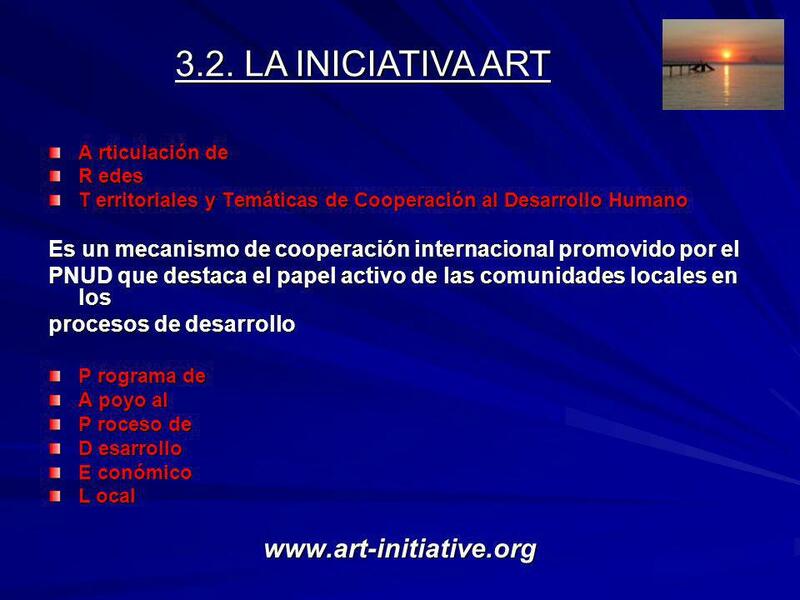 Disponibles en “Desarrollo humano en movimiento” - Próximo lanzamiento en septiembre 2009 Tema principal: migraciones Sobre los Objetivos de Desarrollo del Milenio Embajadores de Buena Voluntad ( APOYO Y LA COORDINACIÓN DE LAS AGENCIAS DE LAS NACIONES UNIDAS El PNUD financia y administra el sistema de Coordinadores Residentes CCA : joint assessment and analysis of the country situation. 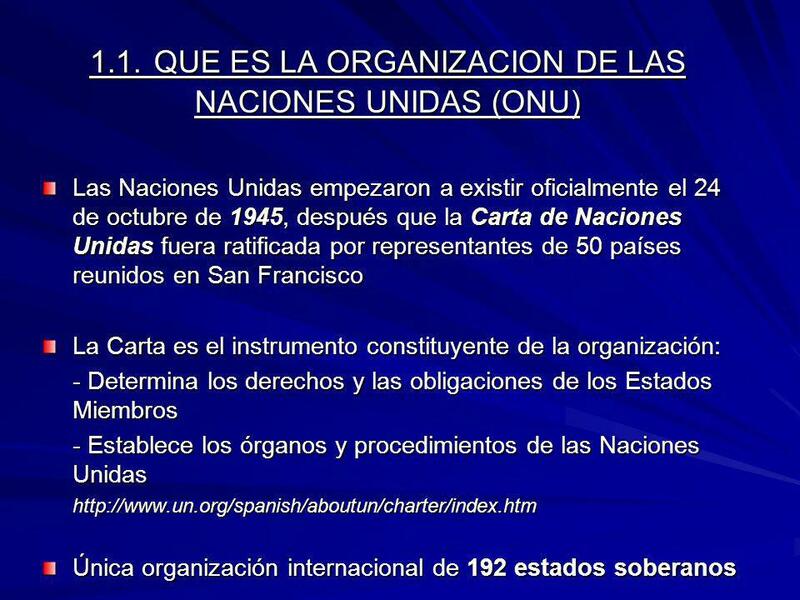 Based on the analysis of the country situation, the UN agencies subsequently set out the collective priorities of the UN agencies in a given country. The UN Country Programming Cycle is concerned with setting and measuring results in achieving a country’s Millennium Development Goals with the government and all UN development agencies. The results expected from members of the UN country team, including UNDP and its Associated Funds and Programmes, are identified. 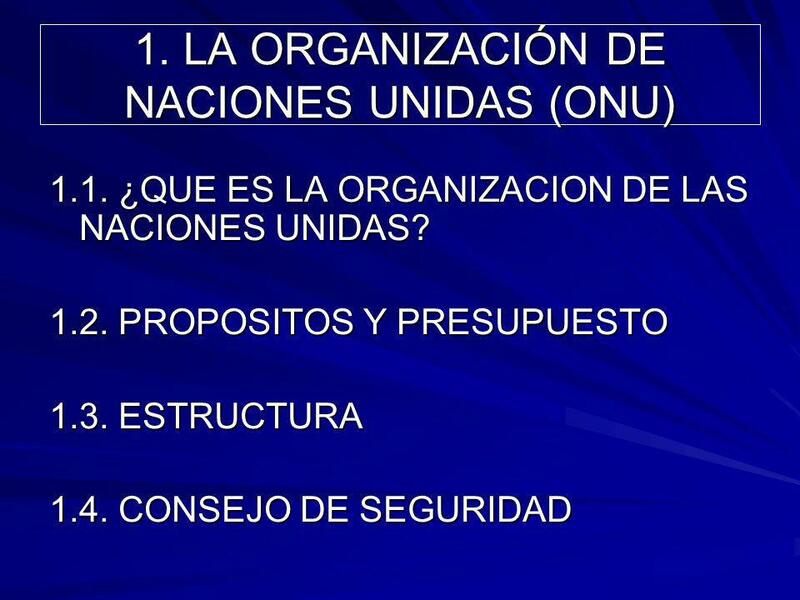 This common UN framework is called the United Nations Development Assistance Framework (UNDAF). The United Nations Development Assistance Framework links these priorities directly to outputs and outcomes of individual UN agency country programs. It also contains a UNDAF result matrix with measurable indicators and a monitoring and evaluation plan. 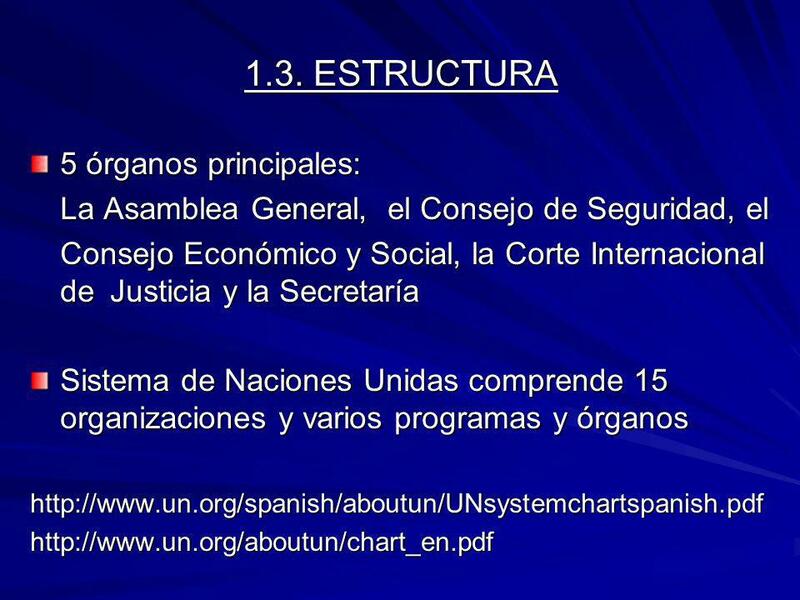 On the basis of the United Nations Development Assistance Framework, UN agencies draw up country programmes. The UNDP Country Programme describes more in detail how UNDP will achieve outcomes described in the United Nations Development Assistance Framework. It defines a limited number of outcome targets to be achieved over the next years. UNDP’s Country Programme is reviewed and approved by UNDP’s highest body, the Executive Board. 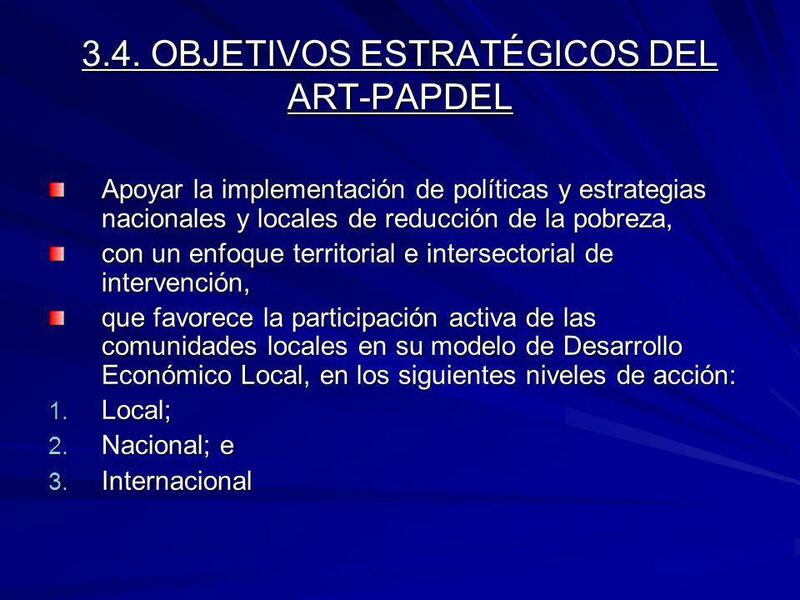 In addition, a UNDP Country Programme Action Plan (CPAP) refines the approach taken by the UNDP Country Programme. 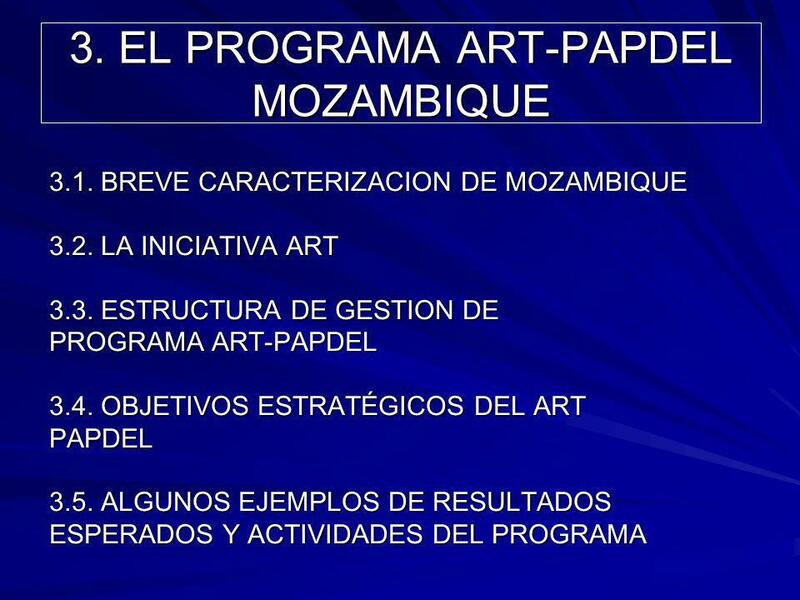 It is the operational master plan that guides the development and delivery of projects on an annual basis. The UNDP Country Programme Action Plan details the programme, the major results expected and the strategies for achieving these results. 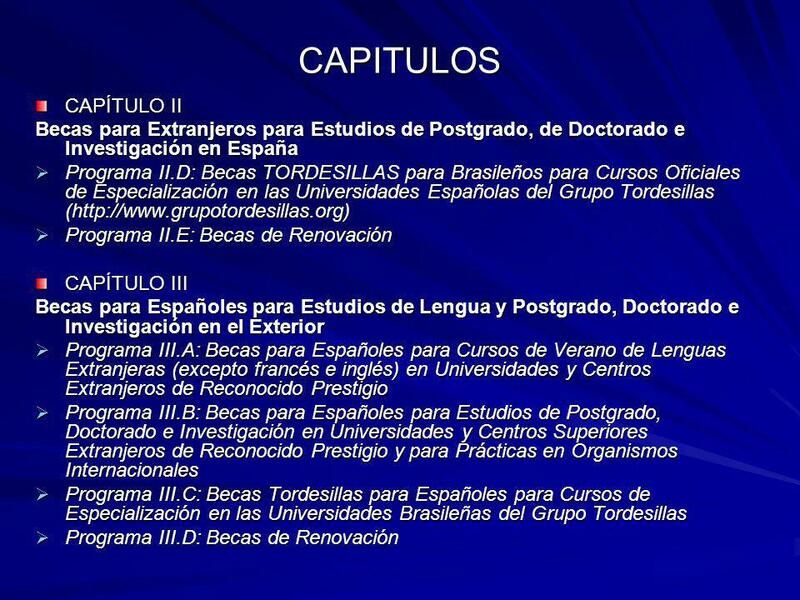 Universidades 1 2 3 4 Agencias de NU 1 4 2 3 Ciudades ONG Sindicatos Coop. 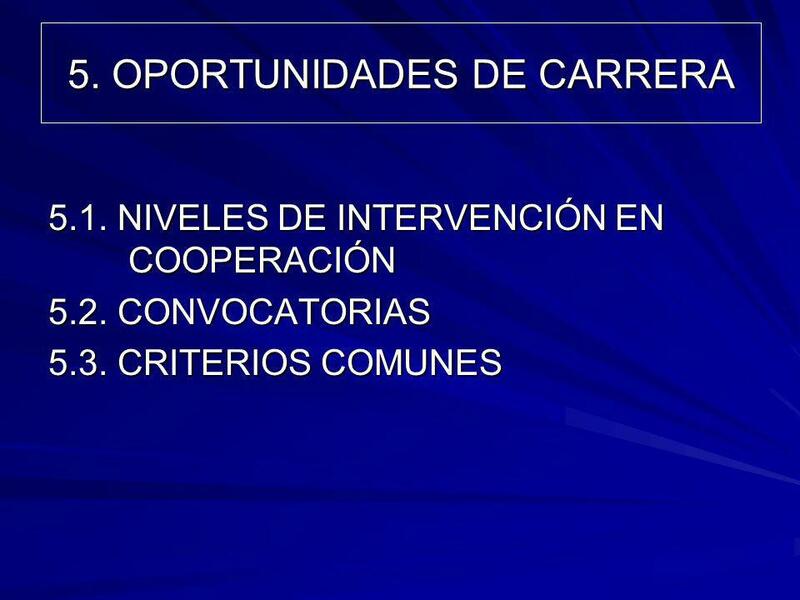 Bilateral Empresas Coop. 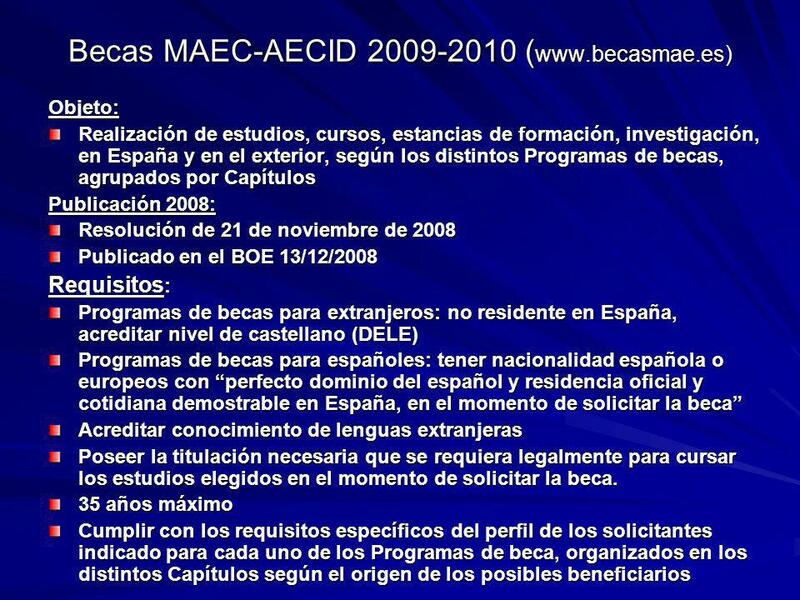 Sur-Sur Centros de estudios “La resultante máxima se obtiene de la suma de los vectores dirigidos en el mismo sentido y la misma dirección”. Rdo 1. 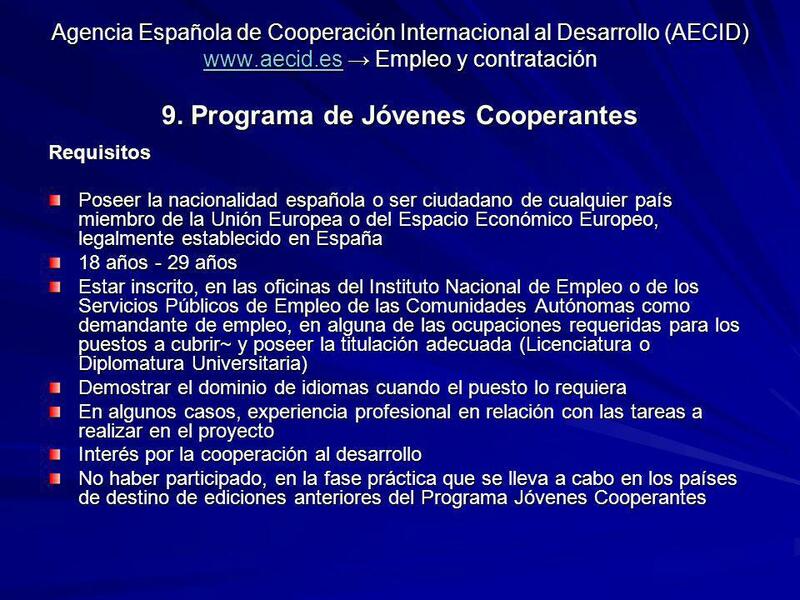 ADEL’s e incubadoras de empresa constituídas y fortalecidas institucionalmente Rdo 2. 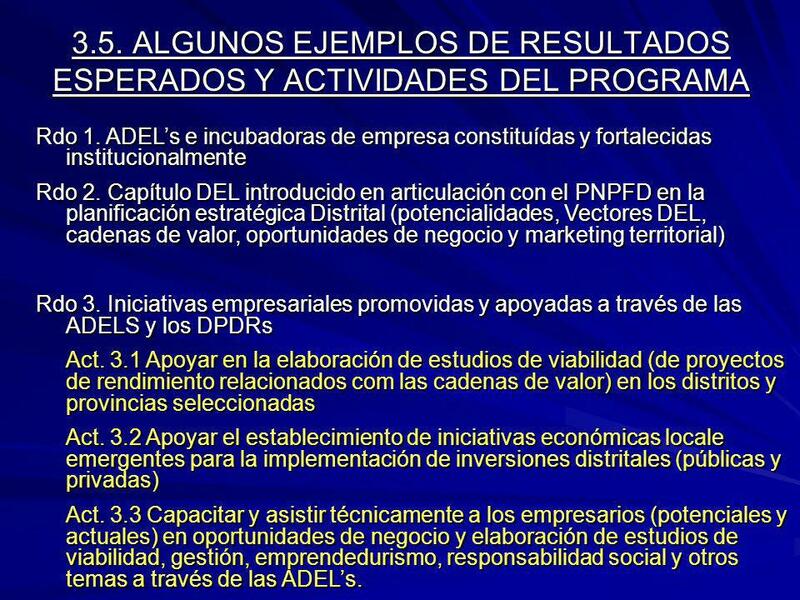 Capítulo DEL introducido en articulación con el PNPFD en la planificación estratégica Distrital (potencialidades, Vectores DEL, cadenas de valor, oportunidades de negocio y marketing territorial) Rdo 3. 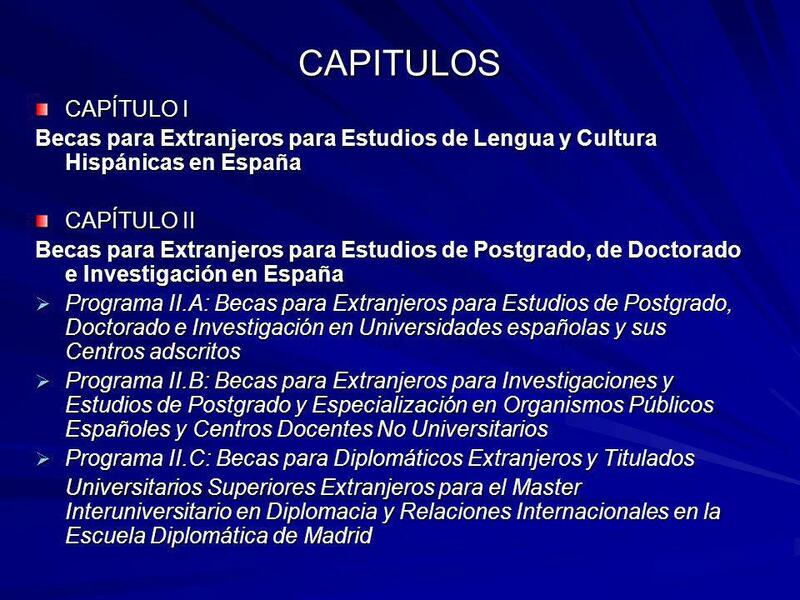 Iniciativas empresariales promovidas y apoyadas a través de las ADELS y los DPDRs Act. 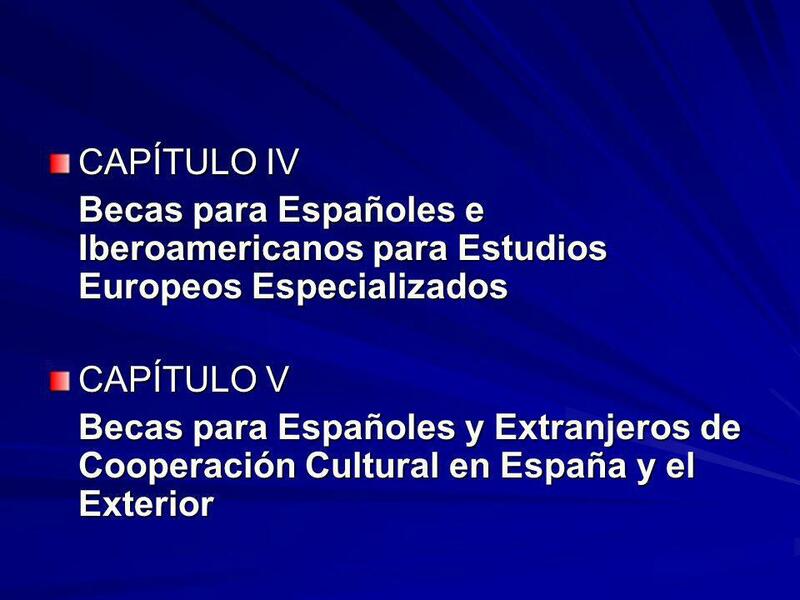 3.1 Apoyar en la elaboración de estudios de viabilidad (de proyectos de rendimiento relacionados com las cadenas de valor) en los distritos y provincias seleccionadas Act. 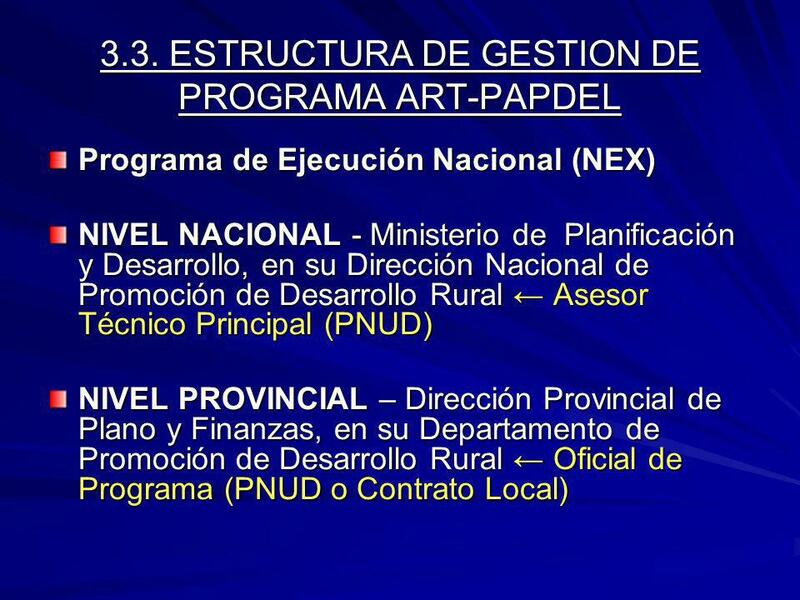 3.2 Apoyar el establecimiento de iniciativas económicas locale emergentes para la implementación de inversiones distritales (públicas y privadas) Act. 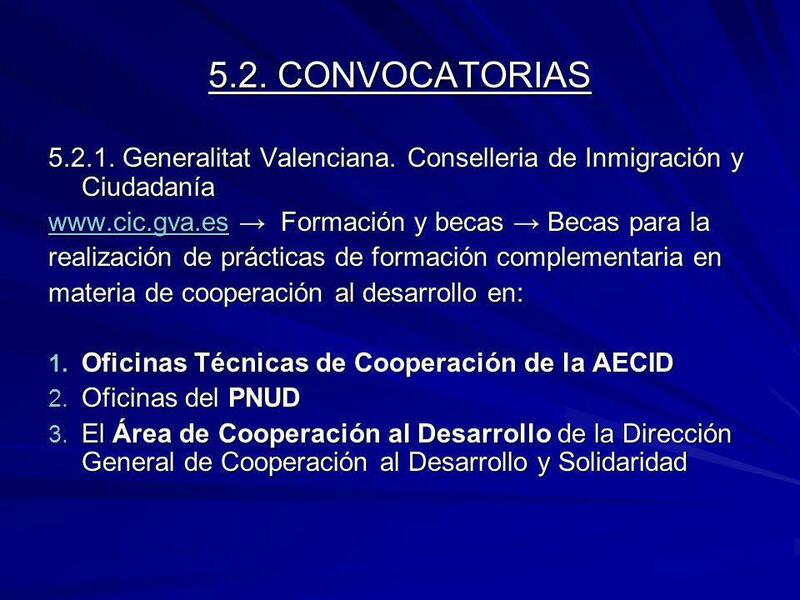 3.3 Capacitar y asistir técnicamente a los empresarios (potenciales y actuales) en oportunidades de negocio y elaboración de estudios de viabilidad, gestión, emprendedurismo, responsabilidad social y otros temas a través de las ADEL’s. 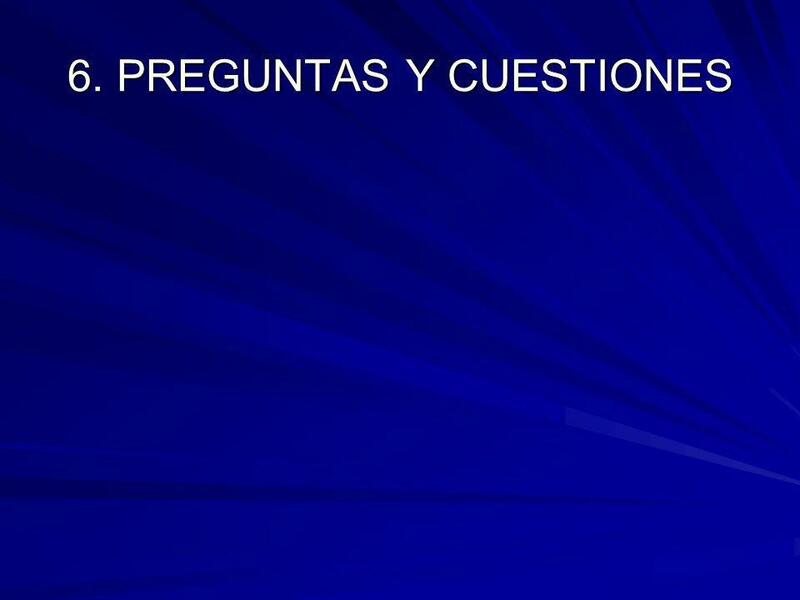 36 Gracias por vuestra atención! 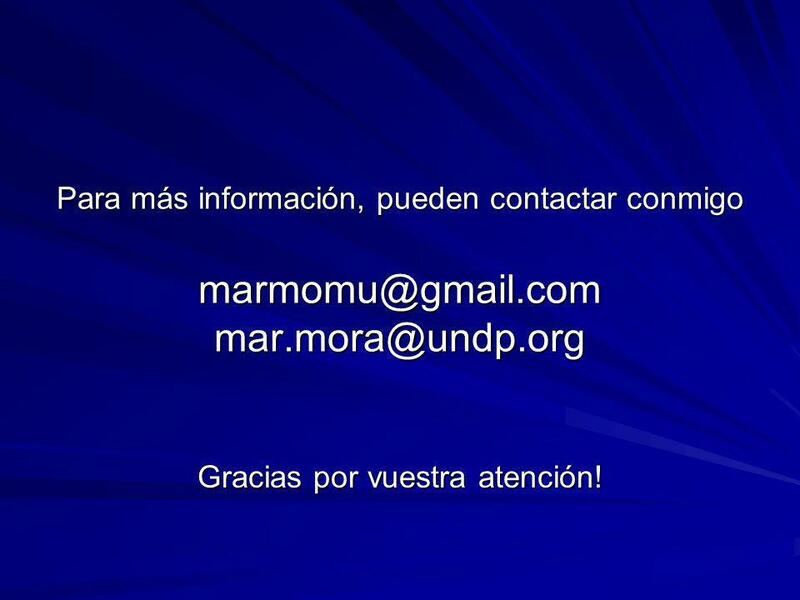 Para más información, pueden contactar conmigo Gracias por vuestra atención! 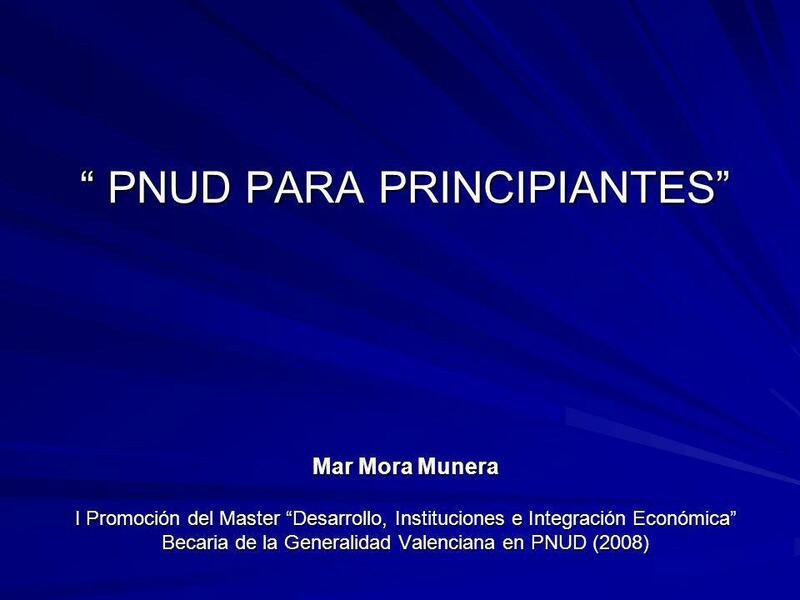 Descargar ppt "“ PNUD PARA PRINCIPIANTES” Mar Mora Munera I Promoción del Master “Desarrollo, Instituciones e Integración Económica” Becaria de la Generalidad." 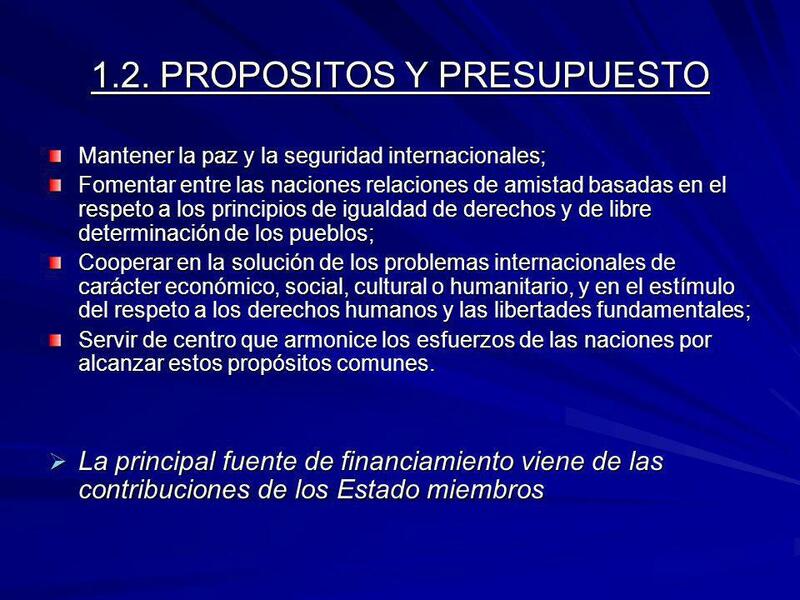 Perfilando la Agenda 21 de la Cultura del Québec Cultura Hoy Mañana.